Scanning colour negative is without a doubt the most irritating part of the film photograhy workflow. I guarantee she looked much healthier when I took the shot! This poor colour rendition got me tired and I started to shoot more black and white because I couldn’t stand to make my models looks like this any longer. But then I thought “ok, there must be an easy fix to get those colour to look good”. So I started to tweak and play with all sort of settings in my scanner program but I was still not getting close to what I was expecting. On top of that, these programs are not shining by their simplicity. Next step was to adjust the files in Lightroom. I was getting acceptable results but it was a lot of trial and error until I could find a decent colour and temperature balance. This was taking a lot of time and I didn’t choose film photography to spend 15 minutes editing each picture in post production. I had to find the responsible for this outrage! It didn’t take long before my doubts leaned towards my Epson V550 flatbed scanner. But I couldn’t believe it. This poor fella has been recommended by many photographers and has an honorable 4 stars rate on Amazon, on top of very enthusiast comments from its users. There had to be something to get these images to look good without spending a lot of money to get scans done by a pro lab. After reading articles and many videos, I stumbled across one that caught my attention. 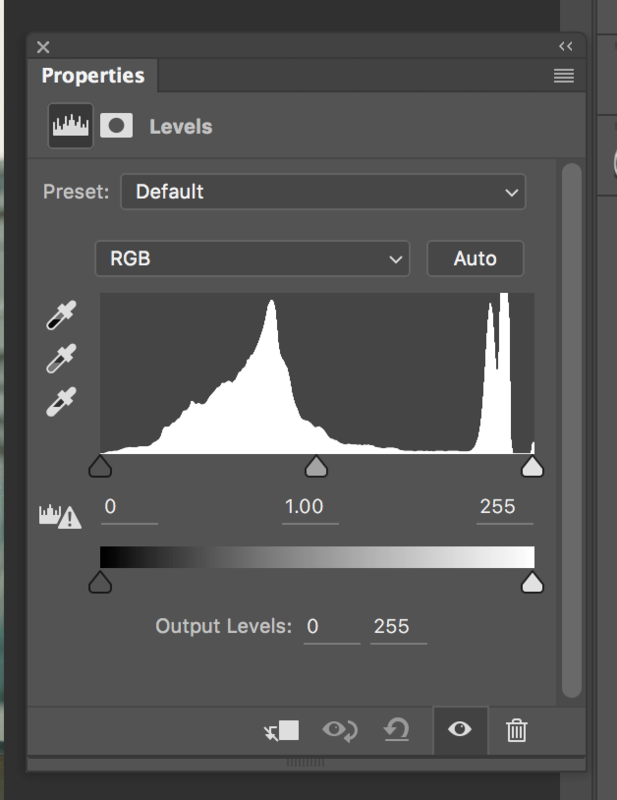 It explains how to easily adjust the colour balance of any image in less than 5 minutes! I tried it myself on a few images and I can finally see what it means to shoot with Portra. You must be impatient to try this on your own images so enough talking and let’s jump into it. 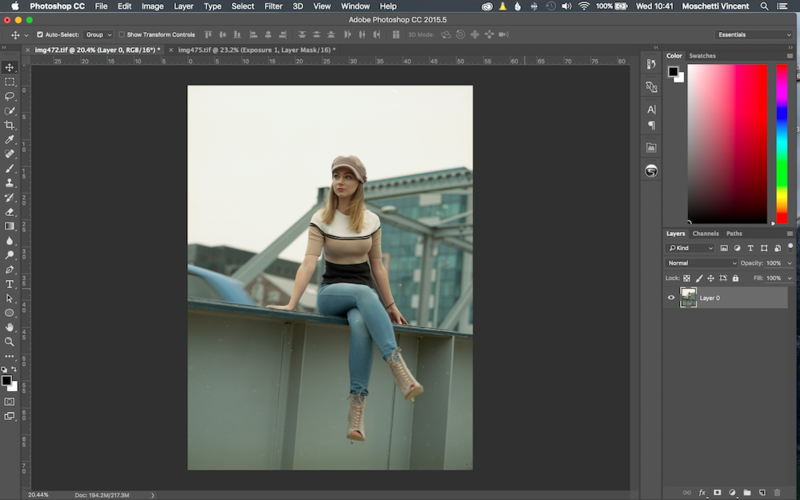 Just import your image directly into Photoshop or if it is already present in your Lightroom library, simply use the shortcut Cmd + E from a Mac or Ctrl + E from a PC, to open it directly into Photoshop. Now we add the Level Adjustment Layer that will save our picture! Like often in Photoshop, there are different ways to do the same thing. 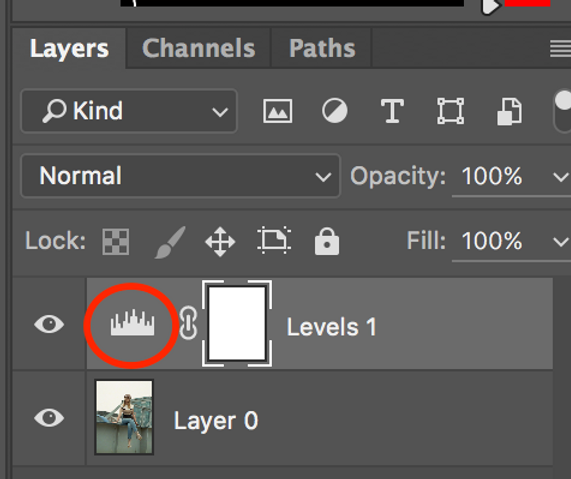 You can see below the easiest way for me to create this layer. 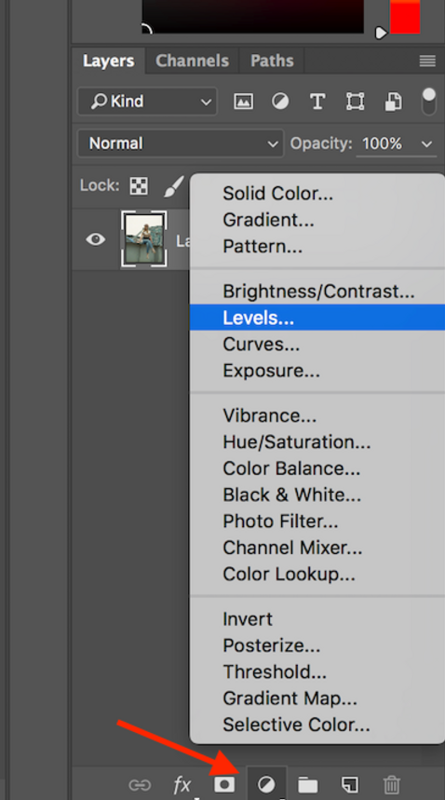 You can also click on the menu Layer > New Adjustment Layer > Levels but the result will be identical. Now that you have created the Level adjustment, you should see this window popping up. In case the window doesn’t appear of if you close it by accident, you can always reopen it by clicking on the little icon marked in red below. From this window, you will choose the Red channel first by clicking on the drop down menu where it says RGB. 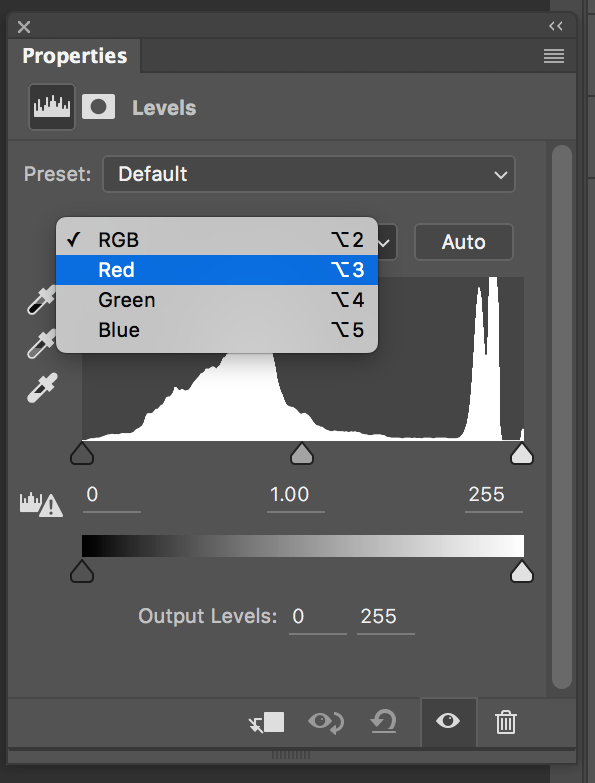 This is very important as you don’t want to work on the global RGB channel, instead, you want to adjust each colour individually. We are going to use this to remove the unnecessary colours from the shadows and highlights. Now that we are done with the shadows, let’s take care of the highlights. This time you will grab the right cursor white holding the Alt key and bring it towards the left. Instead of being red, the clipping mask is now black and shows the clipped highlights in white, blue or red. I see what you are thinking, your image looks even worse than when we started. It’s because we are not done yet! The next steps are to do the exact same thing on the Green and Blue channels. Just click back on the drop down menu where it says now Red, and select the next channel. Once you are done with the three channels, all the unnecessary colour cast added by the scanner should be gone and your model should look like a normal human being! This process slightly darkened the image so to correct it, we are going to add a Brightness/Contrast Adjustment Layer and increase the brightness a little bit. And voilà! You are now able to deal efficiently and very easily with the poor job done by your scanner. I let you decide which one is the before and which one is the after!